Seaven Studios has announced Lost Phone Stories, a digital bundle that includes A Normal Lost Phone and Another Lost Phone: Laura’s Story for Nintendo Switch. The bundle will be out July 19, 2018 on the eShop for USD9.99/GBP8.99. If you own one of the two games, you can buy the other game or the bundle for USD3.99/GBP3.59. Pre-orders are now live on the eShop. Details and trailer can be found below. After the release of A Normal Lost Phone and Another Lost Phone: Laura’s Story, we’re happy to bundle them and release Lost Phone Stories on Nintendo Switch July 19th! Pre-order today on the eShop. Note that each game is sold $5.99 / £5.49 whereas the bundle will be sold $9.99 / £8.99. If you own one of the two games, you can buy the other game or the bundle for $3.99 / £3.59 so it’s fair for everybody! 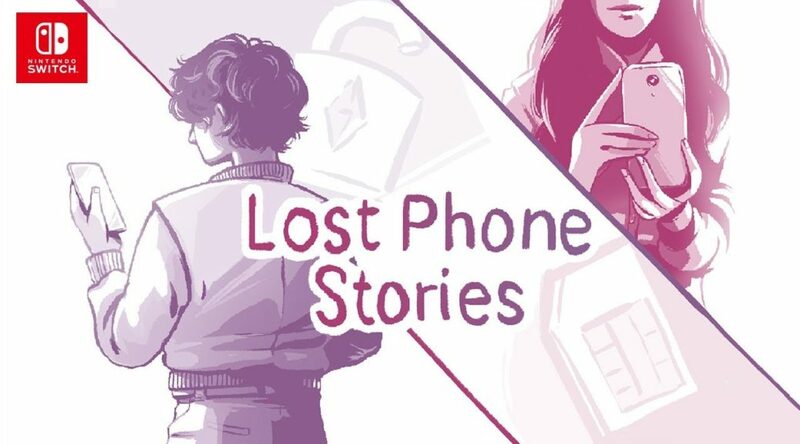 Lost Phones Stories contains the two critically acclaimed and award winning games A Normal Lost Phone and Another Lost Phone: Laura’s Story – The Lost Phone games are about exploring the intimacy of an unknown person whose phone you’ve found. The Nintendo Switch version developed by Seaven Studio adds portrait mode with touch screen and HD Rumble support, making sure the immersive and intuitive way of delivering the game’s narrative through a fake smartphone interface is kept intact. The game is also playable in landscape on tabletop and TV mode. Can You Solve The 11th Hint Art In Super Mario Odyssey?